Connector/Adapter Interface for Agilent or other optical instruments. 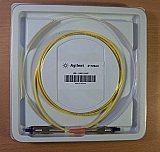 Agilent 81109AC adapter cable. HRL - HMS 10/10HP.